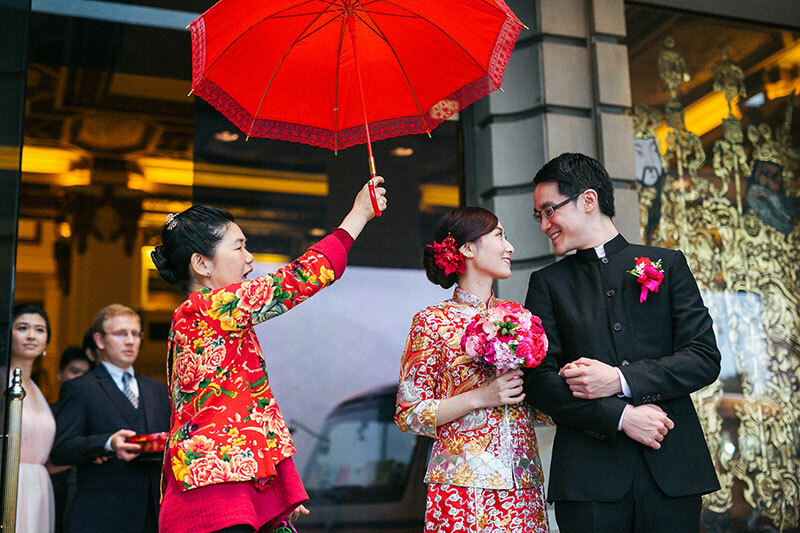 Chinese wedding traditions are still very important in modern weddings. During ancient times, many practices and rituals were performed. 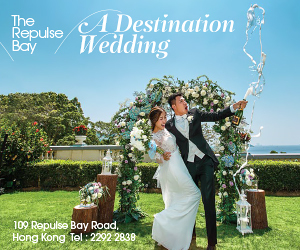 Today, with the advent of contemporary styles of weddings, traditions have been narrowed down to a few key ones which have been incorporated with modern-style wedding day activities. 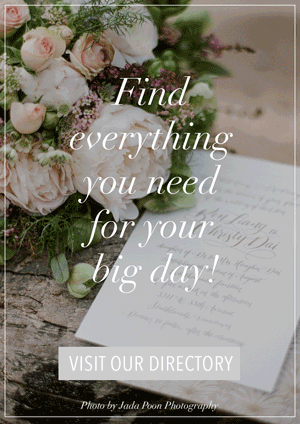 None the less, these traditions are highly esteemed and regarded as vital parts to a wedding. 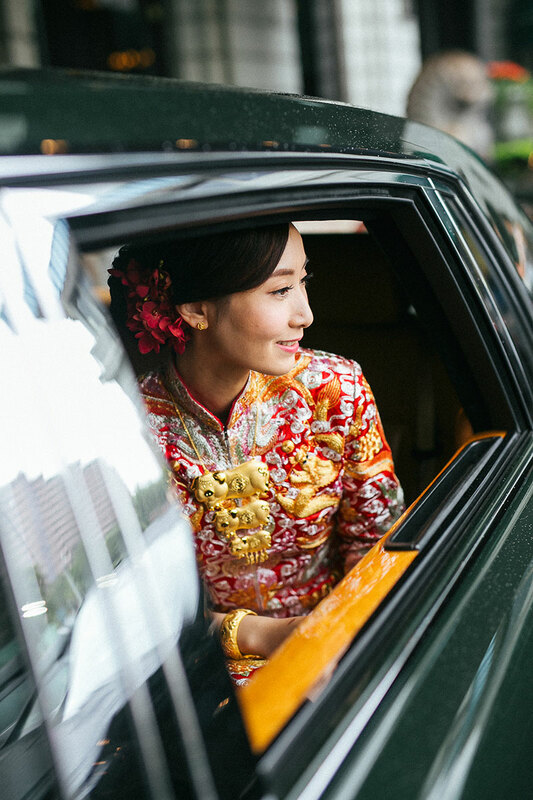 Here are 7 important Chinese wedding traditions every bride must know. You may or may not choose to perform all of these, but it’s good to know them all, their importance, and the significance these bring to your marriage. Read more now. 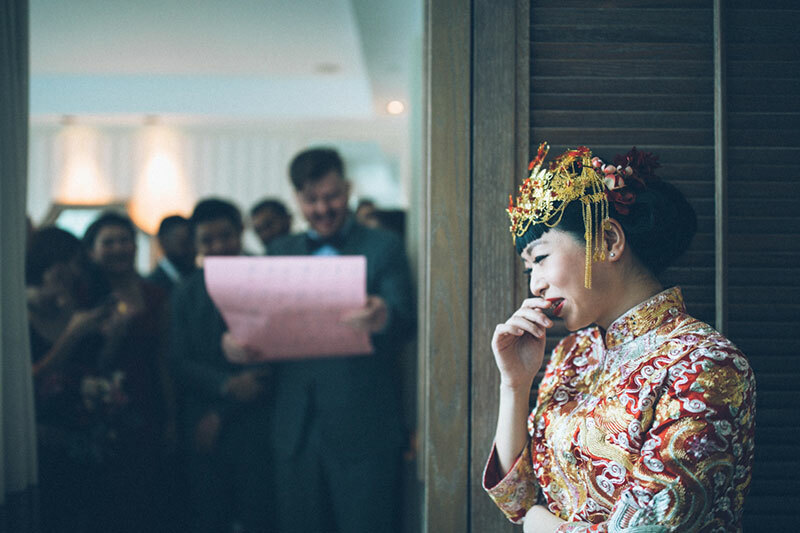 When picking a wedding date, couples must always consult with a Chinese monk, fortune teller, or a Chinese calendar to ensure that the wedding falls on an auspicious date. Know what dates to avoid and what seasons to stay away from. Be ready with the details your birthday as this is usually used as basis for choosing the auspicious wedding day. Having the right wedding date is believed to aide in the success of the marriage. 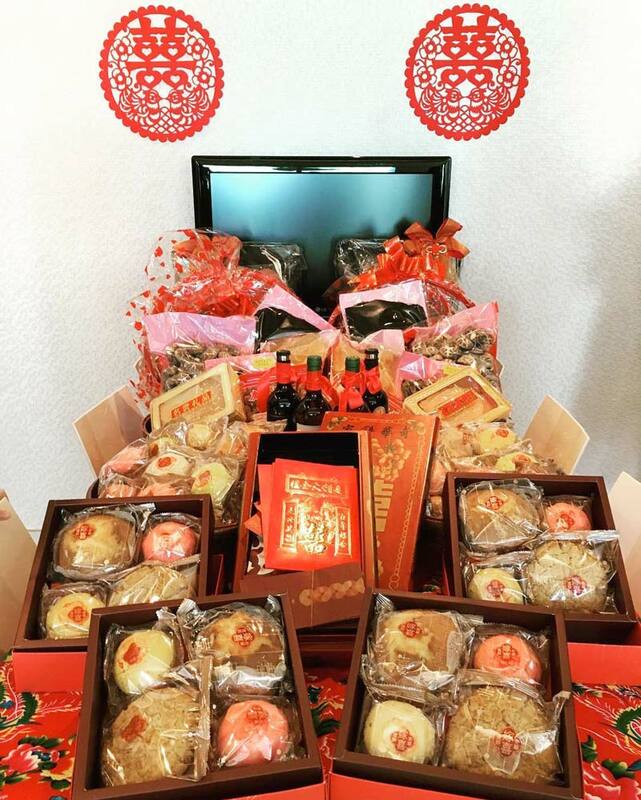 About two to three months before the actual wedding, the groom will go to the bride’s home to present the betrothal gifts. 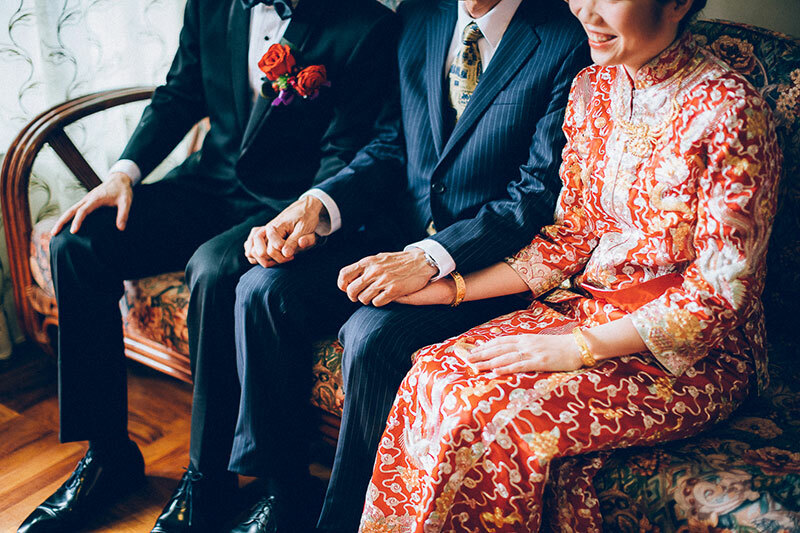 This betrothal ceremony serves as the groom’s formal proposal to the bride’s parents. The gifts that the groom presents to the bride and her parents symbolize prosperity and good fortune. 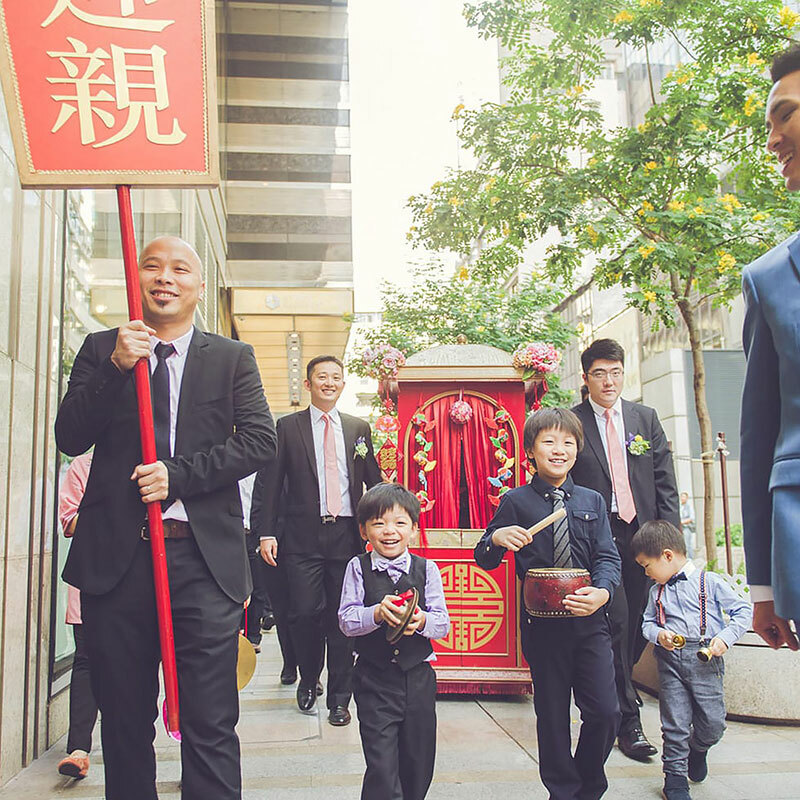 Alongside the gifts, the groom also gives the bride price, a payment by the groom and his family to the bride’s parents that is handed in a red envelope. Upon receiving the gifts, the bride’s parents formally accept the proposal and agree to leave their daughter in the groom’s care. During this ceremony, the bride’s parents also bestow a dowry to the bride which means that she is given property from her parents to start her new life as a married woman. 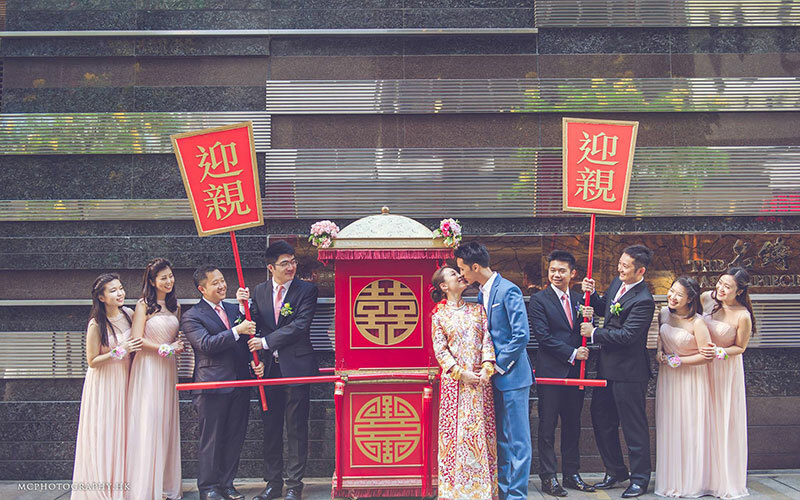 Finally, the bride’s family give “return gifts”, a gesture that says they wish to maintain a good relationship with the groom’s family. 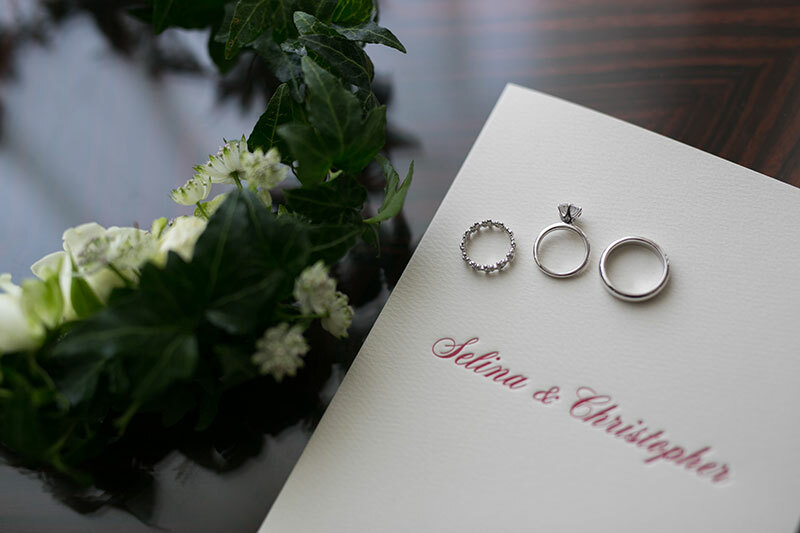 After the gift-giving ceremony is completed, the formal wedding invitations may now be sent out to the guests. At yet again an auspicious date and time (usually 2-3 days before the actual wedding), the bridal bed will be installed in the bridal room by a man of good fortune–one with a living husband, children, and grandchildren. 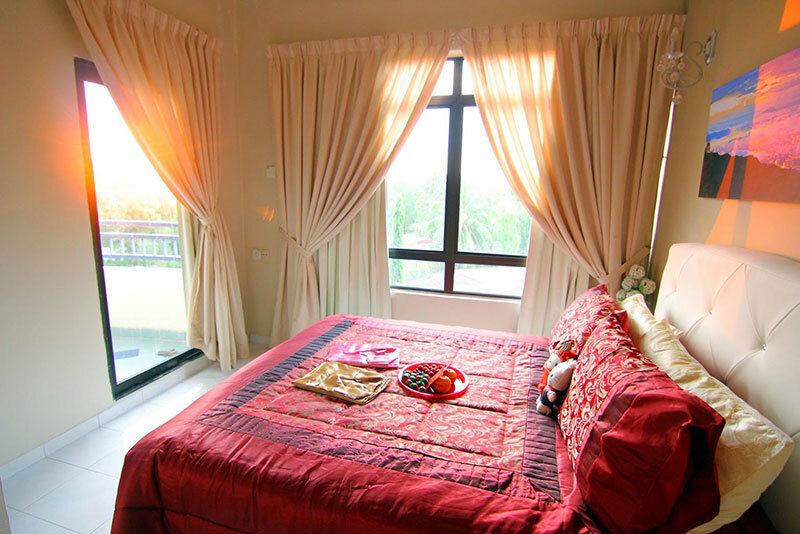 During this ceremony, a woman of good fortune will cover the bed with new, red linen and a plate with dried longans, lotus seeds, red dates, persimmons, and a sprig of pomegranate leaves together with 2 red packets of money is placed on top of the bed. In some cases, a young, healthy boy jumps on the bed as this is believed to help the couple in conceiving children. This ritual is symbolic of a long-lasting union that is gifted with many offspring. Once the bridal bed has been installed, no one is allowed to sit or sleep in it until after the wedding. Read all about this custom–including the do’s and don’ts–here! After this, the bride and groom must eat glutinous rice balls that symbolize they will have a happy, complete, and lasting marriage. Before the groom can take away his new wife-to-be, he has to win approval from the bride’s friends and family. 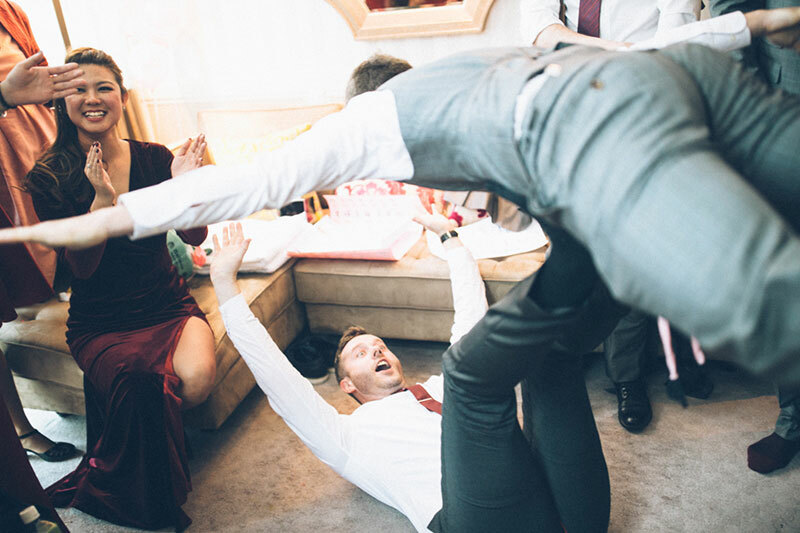 Hence, door games are performed in modern weddings. Door games originated from the ancient practices that imply a bride is a prized daughter, and her family does not want to marry her off easily. Therefore, a man worthy of her hand should have to pass certain “tests” (in today’s wedding, these are represented by the games) before he can take his wife. Click here for some examples of some door games. When the groom surpasses all the tests and finishes all the door games, the bride finally comes out of the room and proceeds to the car while a bridesmaid holds a red umbrella over he head to protect the bride from evil spirits. Then rice is thrown over the umbrella and the bridal car to attract good luck. 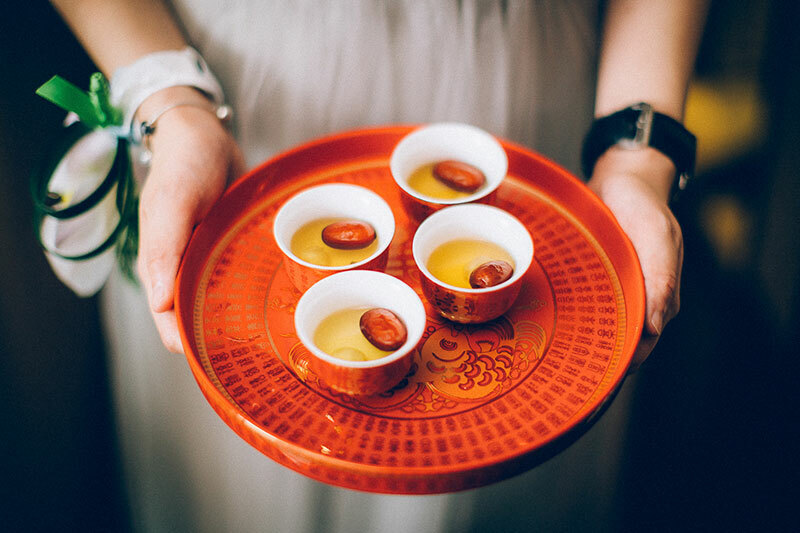 The Chinese tea ceremony is the most important wedding tradition because it’s the time that the bride and groom pay respect to their parents and express their gratitude for the many years under their wing. First, the couple will serve tea to the bride’s parents, followed by the bride’s other family and relatives. After this, they proceed to do the same with the groom’s parents and relatives. Three days after the wedding, the bride goes home to visit her parents to tell them that she is in good hands in her new home, and that she is well taken care of by her new family. 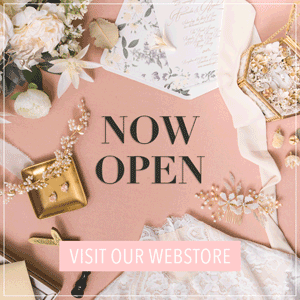 Because this is the bride’s first visit after the wedding, it is a special event for her parents and family. 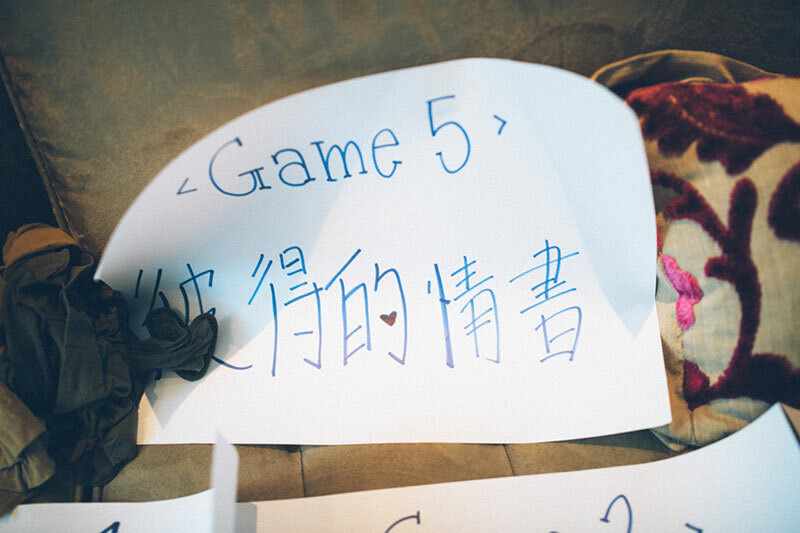 The couple is usually welcomed with a mini banquet where a baby pig is prepared to symbolize the bride’s purity. The bride and groom also bring gifts for their parents and family members. Nowadays, some couples prefer to hold his on the same day of the wedding ceremony. After the tea ceremony, they go back to the bride’s home to have lunch there. 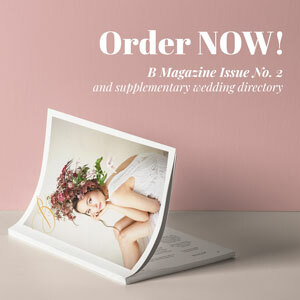 We hope this feature gave some insight to and appreciation for these wedding customs. It’s best to go over them with your husband-to-be and family so you can incorporate these into your preparations, if ever.